One thing I love to do in my spare time is make my own soap. I love being able to customize the scents, color, and ingredients. Plus, they make great gifts, and the bars tend to last a lot longer than a bottle of body wash. I’ve also made my own bath bombs a few times! 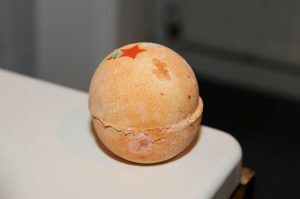 While I don’t take baths often, when I do, I love using those fizzy, luxurious smelling bath bombs.